Situated in Turkey's capital city The Hilton Garden Inn is one of the finest hotels in Ankara. 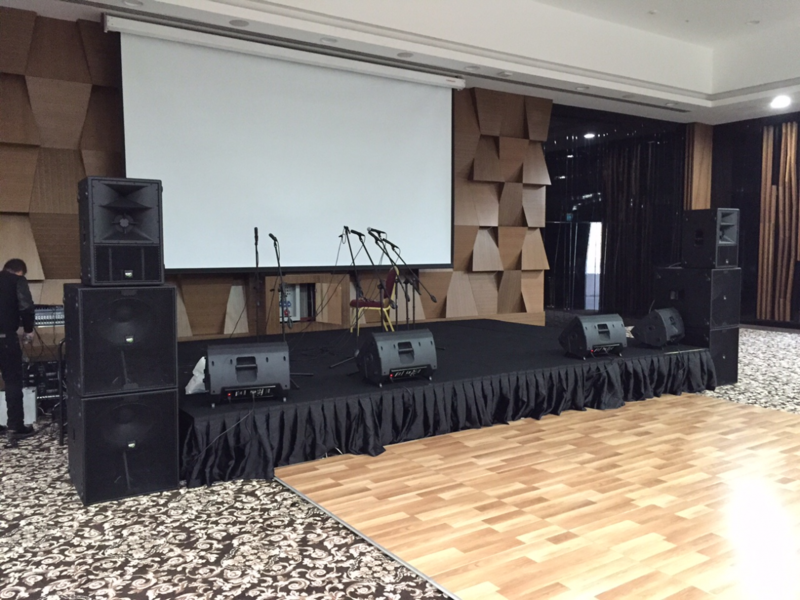 Such a prestigious establishment required a suitable sound system to match the level of quality expected from its owners and guests. KV2 are delighted to report that the legendary ES System was chosen as the system to rise to this challenge. The dedicated professionals at KV2 Audio's Turkish distributors A GRUP were a key factor in putting forward the ES System as the perfect solution for the project. 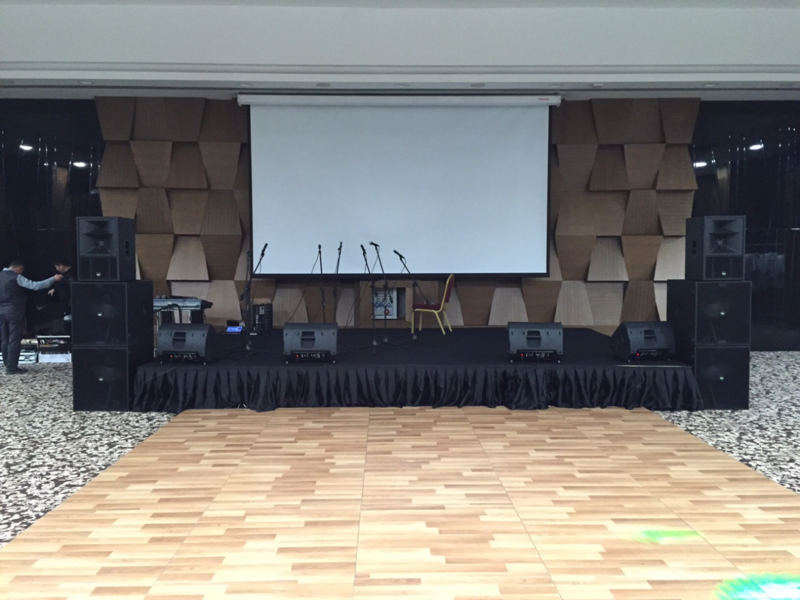 The ballroom measures 690 square metres and is used for a wide variety of applications. 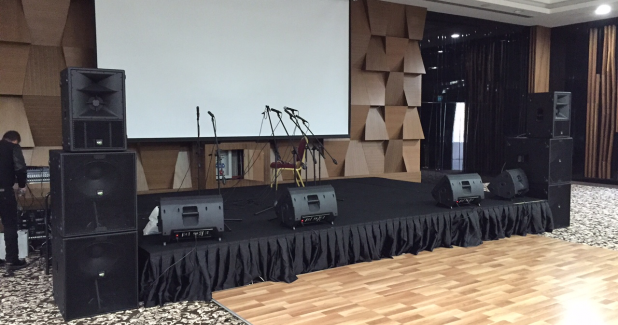 The system needed to be able to cater for all types of material – Live music, Dance music and playback. The brief also demanded that the system be powerful and punchy whilst offering crystal clear audio to every corner of the space. Upon hearing that A GRUP were only suggesting one ES1.0 mid/hi per side and two ES1.8 18" subwoofers per side there were some worried faces. However, there need not have been because – as is always the case – the ES System delivered all that was required and more. The clarity throughout the venue is exceptional and ensures that each and every member of the 1,000 capacity ballroom enjoys the true atmosphere of each performance. Since the system has been in use all of the bands have independently shared sentiments that "We have never heard a sound system like that before". Another great project highlighting what can be achieved through KV2's True Point Source approach to large scale audio reinforcement.